Two more companies are planning to bring their dockless scooters and e-bikes to Arlington in the coming days. Spin will soon be dropping its electric scooters around the county, while Jump will offer both e-bikes and scooters in Arlington. Both companies currently operate in D.C.
Ariella Steinhorn, a Spin spokeswoman, told ARLnow that the company’s scooters will be available for Arlingtonians to rent starting Friday (Feb. 8). 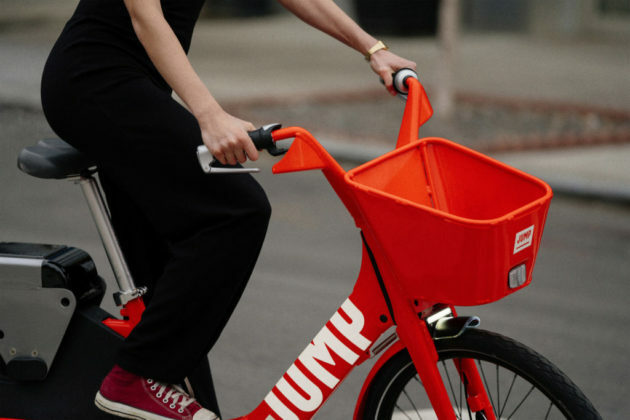 Jump has told local officials that they will follow suit “within the next few weeks,” according to county transportation spokesman Eric Balliet. The company did not immediately respond to a request for comment on its plans. The companies will become the fourth and fifth firms to offer dockless vehicles in the county when they arrive, joining Bird, Lime and Lyft. All of the companies are participating in a pilot program set up by the County Board last fall, allowing firms to deploy hundreds of the devices around Arlington through the end of the tentative test period this summer. 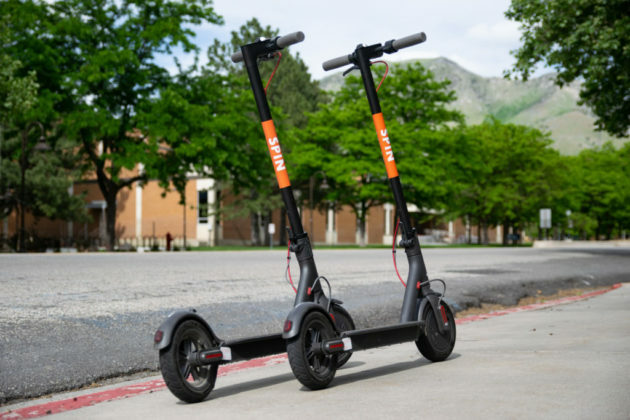 The county generally hasn’t recorded too many problems with the suddenly ubiquitous scooters thus far, outside of some scattered accidents and concerns about younger riders using the devices when they shouldn’t be. State lawmakers are also currently hard at work crafting legislation to allow localities to set additional regulations for the vehicles once similar pilot programs end. Both of the new firms are owned by much larger companies — the ridesharing service Uber owns Jump, while Ford recently acquired Spin.